The Deputy Minister for Culture, Sport and Tourism, Ken Skates has welcomed the announcement that one of the iconic poppy sculptures will be coming to Wales, to be displayed at Caernarfon Castle next year. The Weeping Window, part of the original Blood Swept Lands and Seas of Red, will open at Caernarfon Castle on 12th October 2016, and will be especially presented by 14-18 NOW to mark the centenary of the First World War. It will remain at the castle until 20th November 2016, meaning it will be in place for Remembrance Day and the centenary of the end of the Battle of the Somme. Wave and Weeping Window are from the installation Blood Swept Lands and Seas of Red, a display of 888,246 poppies; one to honour every death in the British and Colonial forces of the First World War which was installed at the Tower of London in 2014. 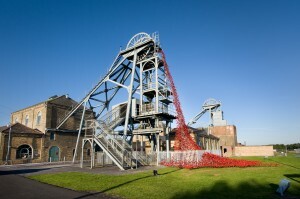 Weeping Window is the cascade of poppies that was seen pouring out of a high window down to the grassed moat below. Wave is a sweeping arch of bright red poppies suspended on towering stalks. 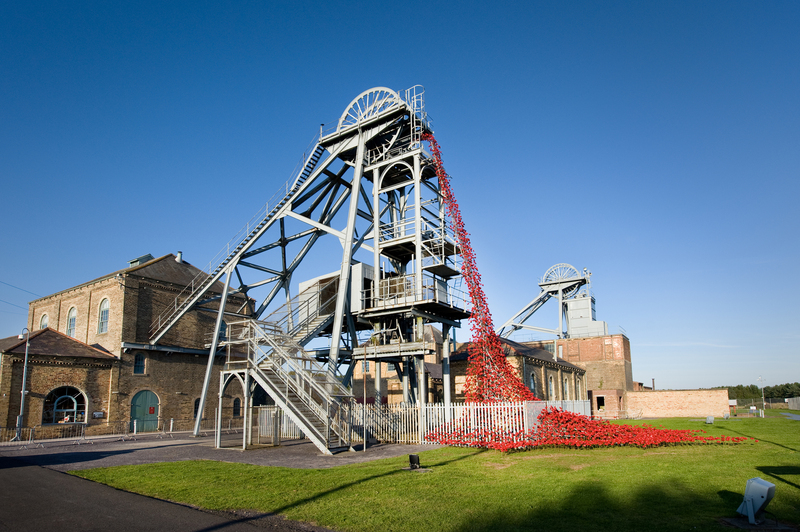 The sculptures Wave and Weeping Window have been saved for the nation by the Backstage Trust and the Clore Duffield Foundation, and gifted to 14-18 NOW and Imperial War Museums. As with all 14-18 NOW projects, the presentation of the sculptures to new audiences aims to prompt a new, nationwide dialogue around the legacy of the First World War. 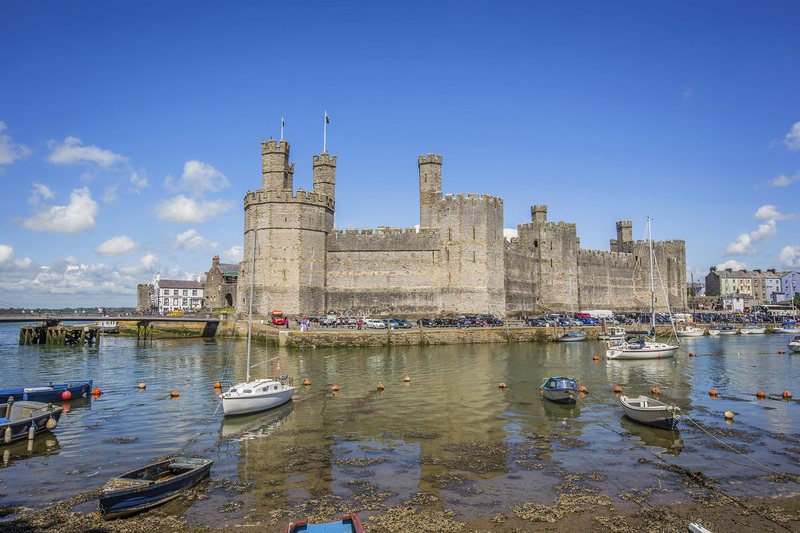 “I am delighted that Caernarfon Castle has been chosen to host the poignant Weeping Window display over some key dates in 2016, including Remembrance Sunday. The original installation at the Tower of London attracted millions of international visitors and became an iconic image for the centenary commemorations for the First World War. 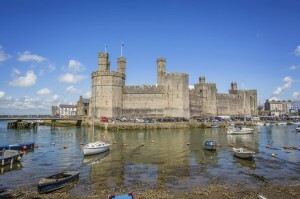 Locations across the UK were asked to bid to host the two sculptures and Caernarfon Castle was successful. For the remainder of the 14-18 NOW programme, the Wave and Weeping Window will be on view at selected locations around the United Kingdom finishing at IWM North and IWM London in the autumn of 2018. The sculptures will then be gifted to Imperial War Museums. Information about commemorative events and projects across Wales can be found in the annual Cymru’n Cofio Wales Remembers 1914 -1918 brochure ‘Programme 2015’ (http://www.walesremembers.org/1915-1918-programme/) and at www.walesremembers.org.